For more information, please submit your contact information. 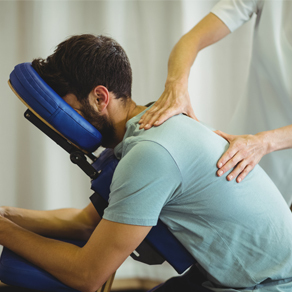 Located in the heart of Freeport, the leading health professionals at Chiro-Works are dedicated to helping you achieve your wellness objectives -- combining skill and expertise that spans the entire chiropractic wellness spectrum. Chiro-Works is committed to bringing you better health and a better way of life by teaching and practicing the true principles of chiropractic wellness care. Patients seeking treatment at Chiro-Works with any of our doctors are assured of receiving only the finest quality care through the use of modern chiropractic equipment and technology. Chiro-Works and their staff have a genuine concern for your well-being! If you are new to our website, please feel free to discover and learn about chiropractic wellness. If you are interested in starting your journey towards wellness, please subscribe to our award winning newsletter. If you are already a newsletter subscriber, please explore the member wellness section of our website for wellness articles, resources, and health facts---specifically targeted by our clinic to your wellness needs and interests. I am from the great state of Iowa, home of the Hawkeyes and Palmer College of Chiropractic. I grew up playing many sports, including baseball, which I continued on into college. While at Loras College I majored in Sports Medicine and was a trainer for various athletes. Chiropractic has always been a big part of my life. I am a third generation chiropractor, my father is Roger Hulsebus and my Grandfather was Robert Hulsebus, all of us attended Palmer College of Chiropractic in Davenport, Iowa. Dr. Nicholas A. Wells, DC is a Chiropractor specializing in Chiropractic care for drug-free pain relief, injury rehabilitation, and wellness care. He has been practicing in Northern Illinois for the past decade. Her first introduction to chiropractic, came while she was in high school seeking care after performing in the school marching band with various sized drums carried over her shoulders. I provide a focused treatment for clients looking for therapeutic and relaxing massage and bodywork. My future plans include furthering my education with pursuing my Doctorate degree in Acupuncture and Oriental Medicine. Hello My Name is Damon Thomas, I am a proud father of 3 beautiful children, two girls and a boy. I have been practicing massage therapy and Qi Gong for 4yrs and currently training in Wu Style Tai Qi. Hello, I am Anna Julius. I am married and have one daughter and a step-son. The farming community is my origin of work ethic. I received my Licensed Practical Nursing Certificate at Highland Community College in 1996, and have worked in the health care system for most of my adult life. I believe that a person’s health is more than the physical. Hello, my name is Sara Horn, and I live here is Freeport with my husband, our three kids, and our three pets. Before becoming a massage therapist, my previous educational background was in dance. "Since I have been coming, my back pain and stiffness have been better and walking is easier, and I feel I have more mobility. I'm also more relaxed and restful. Walking, bending, sitting, standing, and sleeping are much easier. My ability to sleep, back/neck aches, overall pain, and nerve function has improved. 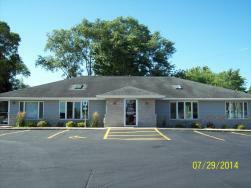 The staff was very concerned about my condition and were efficient and knowledge about my care."